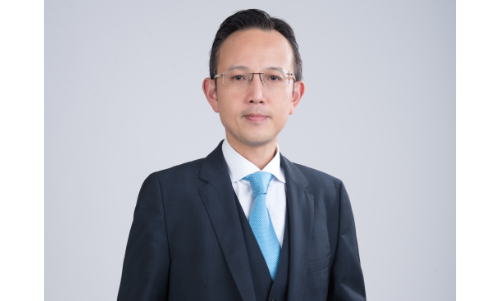 COURTS Asia has appointed Dominic Wong as group chief operating officer, effective from 15 October 2018. He will assume his new role’s responsibilities from Stan Kim, who was looking over the group COO tasks in addition to his existing role as group chief innovation officer (CIO) since February 2018. Wong will primarily be based in Malaysia, and will be tasked with the strategic and operational transformation of the business amid changes in the market’s regulatory landscape. Wong brings with him over 20 years of retail experience to COURTS. He has held chief level positions at publicly-listed multi billion dollar corporations in Singapore, Australia, China and Hong Kong. He was most recently managing director at A.S. Watson Group since 2017. Prior to that, he was the general manager and country head of Watsons Singapore since 2015. During his tenure, he led the brand to a market leading position in Singapore and spearheaded transformational change to its front and back-end customer experience. In addition, he also introduced omni-channel and digital innovations within the store environment and drove the e-commerce strategy for Watsons. Prior to Watsons, he served as the regional finance director, Greater China, at PARKnSHOP, member of the A.S. Watson Group, for two years. His past appointments include financial and commercial roles at multinational companies including Chinese supermarket group Better Life (BuBuGao) Commercial Chain, Australia-based Woolworths, as well as Metcash Trading. “I am honoured to join COURTS, an established retail brand in the region. It is an exciting time for retail which is undergoing rapid change and disruption. I look forward to building upon the momentum of the transformation work in Malaysia, and playing a critical role within the regional executive team to take COURTS Asia to greater heights,” Wong said. With Wong on board, Kim will fully focus on the regional CIO portfolio and work across COURTS’ markets of operation to accelerate the group’s digitalisation efforts and e-commerce capabilities regionally. He will also continue to oversee critical workstreams of the group’s transformation. “Concurrent to our Malaysia transformation seeing early indicators of success, we are pleased to welcome accomplished retail veteran Wong to COURTS to continue the momentum and lead the business to a new steady state,” COURTS Asia’s executive director and group chief executive officer, Terence Donald O’Connor said. “His wealth of retail experience in the fast-moving consumer goods sector as well as in business re-engineering makes him an ideal candidate for the role. We look forward to Wong reinvigorating our commercial strategies in the market,” he added. O’Connor also said that Wong’s immediate priority will be the Malaysian business and that Kim will be working closely with Wong to ensure a smooth transition for the country operations. Most recently, COURTS Asia posted a 3.6% year-on-year (yoy) revenue decline to SG$179.8 million for the first quarter ended 30 June 2018 (Q1 2018). This was mainly attributed to a 24.4% dip in revenue for Malaysia. Meanwhile, distribution and marketing expenses decreased 8.1% to SG$14.5 million in Q1 2018, mainly due to lower expenses in Malaysia.